Someone Setup a Fraud GoFundMe for Jim Jones & He Ain't Happy! Someone Setup a Fraud GoFundMe for Jim Jones & He Ain’t Happy! Someone’s using the fire that occurred at Jim Jones’s mom’s house to make bank on GoFundMe! 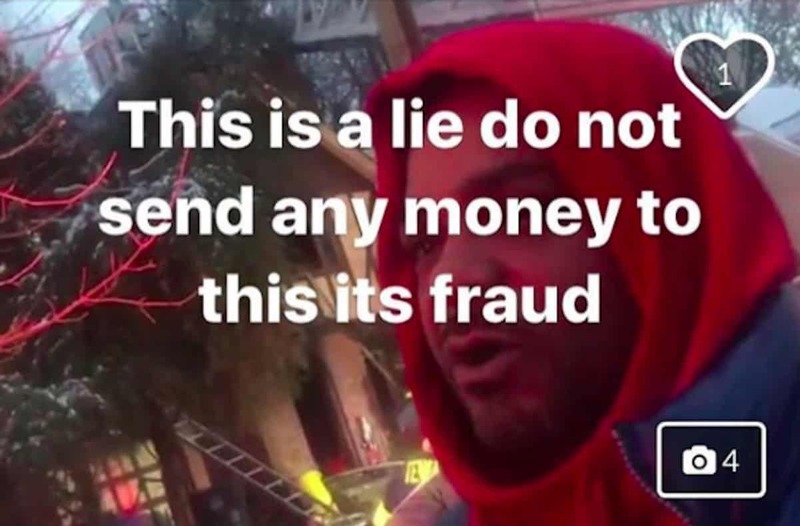 Jim put the fraud fundraiser on blast and gave a big F- you to GoFundMe for even allowing the scam to go through. He also said he and his mama are good because they have insurance! Previous articleIs Kanye’s Ex Pleading for Him to Leave Kim?